The weather is getting warmer and you know what that means: it’s time to get yourself a sports car! If you are in the market for some all-American V8 thunder, there are some crazy good deals to be had on the Chevrolet Corvette, and you’ll even have your choice of three model years. People aren’t buying these things, but you can. 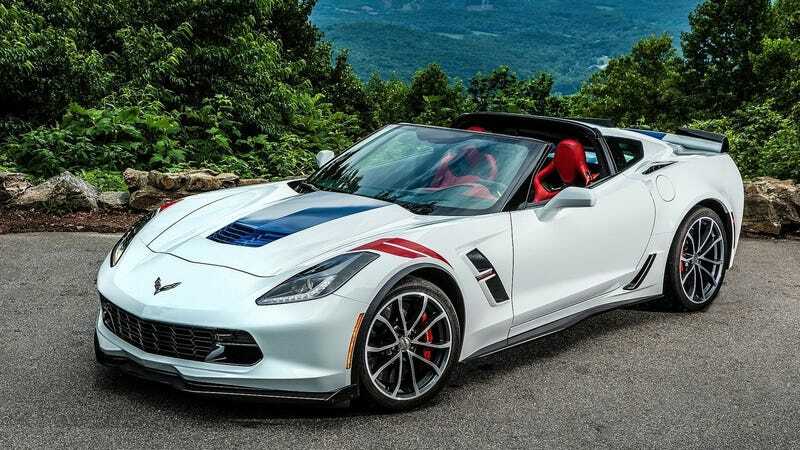 Now that the 2019 Corvettes are starting to make their way into showrooms, our friends at CarsDirect.com got the scoop on some unadvertised deals on leftover 2018 and even 2017 models. You would think that Chevrolet would be pretty desperate to offload the remaining inventory and do something drastic like the 10 percent off deal it had last year, but they are taking a different approach. If you’re shopping for a 2017 Corvette, Chevy’s website shows a $2,017 bonus that you can combine with 4.9% APR for up to 60 months. The 2018 Corvette isn’t listed with any incentives whatsoever. If none of that sounds impressive, it’s because it isn’t. Last year, the 2017 model was eligible for up to $10,000 off MSRP on certain configurations as part of a 10% off deal. That said, there are unadvertised incentives worth knowing about. Both 2017 and 2018 Corvettes are eligible for so-called Flex Cash. Put simply, it’s a type of incentive that allows for deep discounting that can vary from dealer to dealer. As a result, you may see large variances in price when shopping. In the case of the 2017 Corvette, the incentive is worth up to $8,000, while 2018 Corvettes get $6,000. Because the 2017 already has a $2,017 bonus, it’s eligible for up to $10,017 in potential savings. As for current inventory, Autotrader.com is listing upwards of 2,600 new 2018 Corvettes and almost an equal amount of 2017 models. It shouldn’t take much to find yourself a deal on a ‘Vette with your desired specs. The current Stingray is already a world-class exotic-killing bargain, and if you shop right, it can be even more so. Of course, if the price of these new Corvettes is still too steep, you can snag a killer value on a used one that no one seems to drive. But you can. Go out and be the change you want to see in the world. Get a Corvette for cheap and drive it hard.